But aren’t all Riverdale episodes “Bizarrodale”? Here’s what’s happening in the world of television for Wednesday, February 6. All times are Eastern. 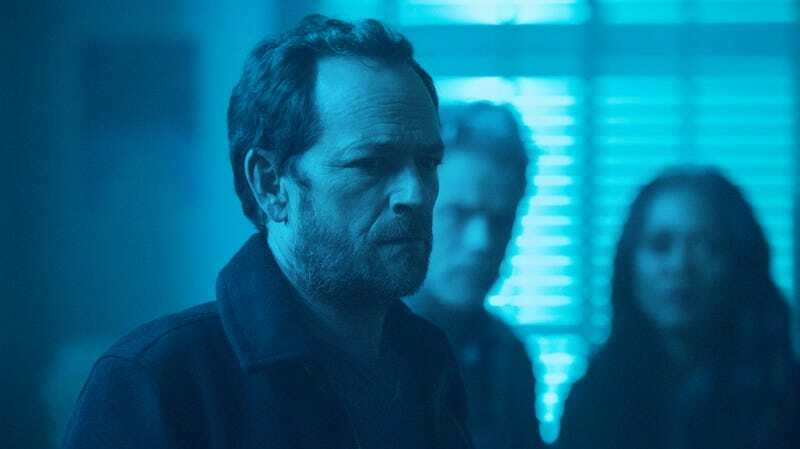 Riverdale (The CW, 8 p.m.): Okay, so we have no earthly idea what’s going on in this week’s Riverdale. But can a person ever really, truly know what the hell is going on in Riverdale? We know there’s a wedding on the horizon (for guest stars Robin Givens and Martin Cummins), we know Cheryl’s getting some college-related news, we know Kevin and Moose reach a point of crisis of some sort, and we know that somewhere in there, Veronica will take off her Hollywood shades and say, “Were you shot?” before driving off in a tizzy. And there’s one last thing: We know the Midnight Club will be forced to reunite. Or maybe not. Who knows? This episode could be called “Archie Goes To A Car Dealership” and we wouldn’t be certain of whether or not Archie would, in fact, go to a car dealership. Riverdale does its Riverdale thing, and Charles Bramesco chronicles the Riverdale things. No matter the plot, “Bizarrodale” will probably seem pretty accurate. The Masked Singer (Fox, 9 p.m.): The Bee is Gladys Knight, right? She is. She has to be. It’s totally her. Odds are we might get more clues, and all you have to do is sit through several endless judging panels, loads of sizzle filler, and a bunch of other nonsense. But then there’s someone who is probably Gladys Knight! Not sure how that pro-con list will balance out for you, but we think it’s coming out on the pro side for us, this week.